Family Lore: Matt O'Connor to go on hunger strike: Will anyone care? Comments like that John. How to further endear yourself with non resident fathers, not. I'm sure his wife and kids will care, maybe a few of his close family too? Some of his comments in the press, his revolving door 'is he open, has he closed it down again?' antics with F4j, oh and his behaviour in the London Mayoral election, has left him bereft of credibility to many. 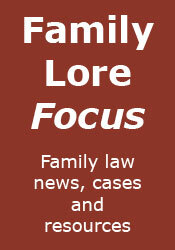 Saying that, any publicity that raises awareness to the failings of family law should be applauded. But the time has come for him to hand over the reigns to someone else with perhaps not as chequered a history, I would possibly suggest Nick Langford, there are others within his close circle that may be able step up to the mark like Pete Nichols. Matt should definitely call this his swan song, maybe use this opportunity to do a Reggie Perrin then go sell ice cream in Panama, perhaps meanwhile 100 Superheroes could follow his empty coffin down the Mall? David: My only comment was that I found the video melodramatic; the post title is a serious question. In any event, I have no wish to endear myself to anyone. Melvin: You may be right that any publicity is good publicity, but the government is only likely to respond if O'Connor gets the public on his side. I hope David Cameron takes note. But I regret that it has come to this and dont want you to lose your life. Who else will there be to stand up for Fathers and Grandparents.